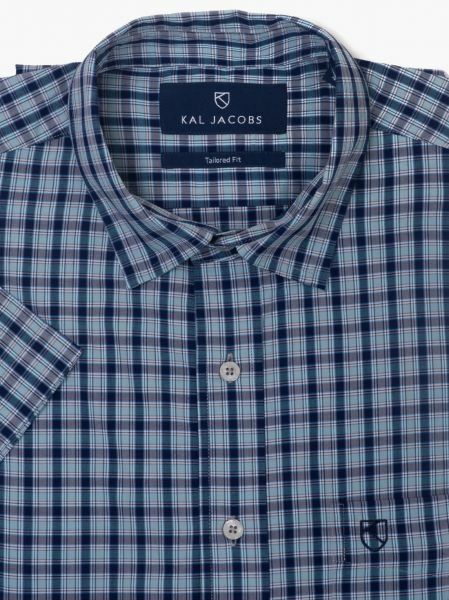 This Casual Fit Blue Plaid Bamboo shirt features a Soft Classic Point Collar. Made from Organic Bamboo Fabric, this shirt is a pleasure to wear with its smooth and lighweight feel against your skin. The Shirt is sure to elevate your work wardrobe. It is unmistakably smooth with a soft finish. This shirt features Round Cuffs a Button-down Collar and left Chest Pocket.